(NewsUSA) - Urinary tract problems are a common affliction among cats. 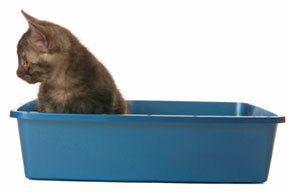 Regular litter box cleaning is an important step in keeping this painful condition in check. "Cleanliness is one key to avoiding cat urinary tract problems," says veterinarian Melissa Brookshire. "Urinary tract obstructions, evidenced by straining without producing any urine, are emergency situations that require immediate veterinary attention. Once diagnosed and treated, steps for prevention should become routine. Having a fresh, clean litter box can go a long way in preventing this affliction." 1. Keep the Box Clean. A big part of keeping the litter box clean is scooping clumps and solids frequently. This keeps the box fresh and increases the likelihood your cat will use it. 2. Clean Up Accidents. Clean up any "accidents" outside the litter box quickly using an enzymatic cleaner. These cleaners eliminate any scent that may encourage your cat to "use" that spot again. 3. Use Multiple Boxes. Remember that multiple-cat households need multiple litter boxes. Place the boxes in different parts of the house or on different floors. Older cats especially need access to litter boxes on every floor. 4. Make Box Access Easy. It's best to keep the box away from any noisy or high-traffic areas. The more accessible and comfortable the litter box is for your cat, the more likely it will be used. 5. Keep Food and Litter Box Separate. Don't place your cat's food next to their litter box. Doing so may confuse your cat on the litter box's purpose, or may result in unsanitary eating conditions. 6. Use the Correct Litter for Your Cat. Choosing the right litter can help make it easier to maintain a safe and sanitary environment. World's Best Cat Litter eliminates the hassle from litter box cleanup because it's the only litter that harnesses naturally absorbent whole-kernel corn to deliver outstanding odor control, quick clumping, easy scooping and longlasting performance. It's safe for cats of all ages. For more information, visit www.worldsbestcatlitter.com. Cats are prone to urinary tract problems, but having a clean litter box can help.